Health insurance is the insurance of covering the risk of medical expenses incurred by an individual as a result of any medical sickness or injuries caused by accidents. A large group of people come together and build a pool of fund to insure that they share the cost of staying healthy. A financial structure is created by an insurer after estimating the overall risk of health care expenses. The structure consists of a monthly premium to ensure that enough cash is available in order to pay for the benefits mentioned in the health insurance contract. These benefits are managed by not-for-profit organizations, government agencies and private-equity firms. It is very important for you to understand the basics of health insurance in order to take advantage of the right health insurance plan. A person faces many risks in life. Some can be prevented or minimized, some can be avoided but some of them cannot be predicted at all. When you are thinking about insurance, you should consider the type of health risk that you can experience, the cost you will have to bear, the effect it will have on you and the steps you can take to mitigate that risk. You should devise a risk management strategy and follow steps to execute it successfully to counter the health risk. And a risk that can cause severe financial losses and cannot be reduced; should be transferred. A health insurer or health insurance companies provide all these services to mitigate your risk or to reduce it to an acceptable level. 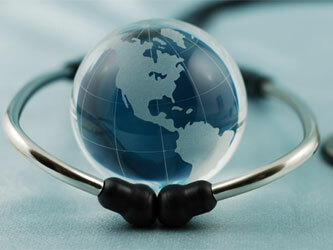 However, there are additional costs attached to the health insurance plan other than a premium cost. There are deductibles in health insurance coverage. It is the amount that a person has to pay out of pocket; the amount which is not covered by the insurance companies. It depends on how much you want to pay out of your pocket. Usually, the more you pay the deductibles, the lower will be the premium. Other costs are co-insurance and co-payments. In a co-insurance agreement, there is an 80/20 ratio between the insurance carrier and the one who is insured. The insured party pays 20% of the health care cost up to the deductible amount but the amount is lower than the out-of-pocket limit mentioned in the policy. On the other hand, co-payment is the maximum amount that you will pay every time you spend your money on medical care. Finally, there is a stop-loss limit, where an aggregate amount is paid in excess of the deductible and after that; you do not have to pay any co-insurance payment because health insurance companies will pay 100% of your covered expenses. Before purchasing any health insurance plan, you should take guidance of Your Personal Financial Mentor because he can assess and compare the value of risk transferred, with its cost and can recommend you a suitable health insurance plan. Therefore, if you are financing a health insurance plan to hedge your risk, you should make sure that the cost does not overweigh the benefits associated with a certain plan.